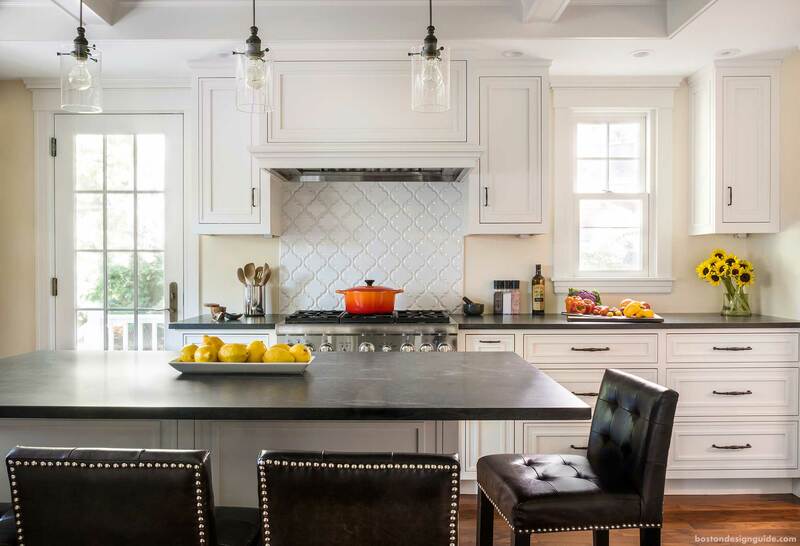 Boston's best high-end custom builders will construct your new upscale luxury home or renovation with an emphasis on attention to detail, custom cabinetry and millwork. Founded by Alex Slive and Doug Hanna in 1978, S+H Construction is one of the area's most respected premier residential construction firms. An award winning company – including seven Best of Boston awards and several honors from the Cambridge Historical Society – S+H provides a dedicated team who share a commitment to customer satisfaction. Their work is consistently featured in both regional and national home and design publications. In 2016, the company was purchased by Sarah Lawson, who had been a project manager with S+H since 2007. Well-respected and recognized for her strong leadership in what is typically a male-dominated industry, Sarah literally grew up in the design/build industry. Her father was an engineer, and he built the family home around them, teaching his three daughters core principles along the way. That experience stuck with her, though it took some years before she realized it was her calling. Lawson was in college and on track for a career in business when she completed her first major design/build project – a series of cantilevered decks at her parents’ home. Eventually, her business career swung her back to the design/build industry when she founded her own construction company. She joined S+H Construction as a project manager when the opportunity came up, understanding that she might be able to accomplish more at an established firm. She made her mark almost immediately – spearheading an initiative to streamline operations by upgrading the paper-based system to modern project management software. Ten years later when co-founders Doug Hanna and Alex Silve announced their retirement, she purchased the award-winning company and took the helm as owner and president. Now celebrating 40 years, the S+H legacy for premier residential home builds, renovations, and historic restorations rests soundly in Lawson’s talented hands. S+H Construction continues to win major awards and – most importantly – provide its clients with a level of craftsmanship and professionalism that continues to put S+H among the elite builders in New England. Visit S+H Construction to learn more.